Mr. John Durishan has over seven years’ experience working in employment law, both in litigation and compliance. He represents clients in Georgia, New York, and throughout the United States. Before joining Lucy Lu & Associates, John gained a wide variety of experience in all matters relating to employment law. John has represented his clients in federal court, as well as administrative courts. While in New York, John gained experience in developing, reviewing and implementing internal complaint policies; reasonable accommodation policies, and EEO compliance; as well as training management and employees on how to properly apply and use these policies. John is an expert in Title VII matters and can work with companies to develop, or improve their internal policies to ensure their compliance with both state and federal law. John has the unique experience of representing both plaintiffs and defendants in workplace harassment-based claims. John uses this experience to train employers on how to effectively implement internal processes, reduce the risk of litigation, and advise employers on how best to handle specific issues related to removals, discrimination, and reasonable accommodation requests. 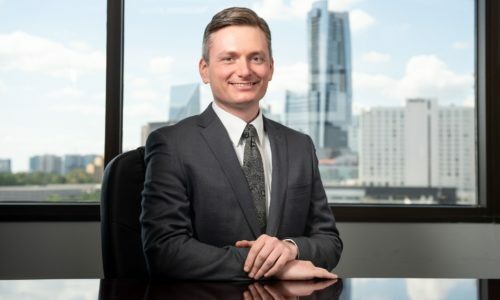 John has experience handling cases before the Equal Employment Opportunity Commission (EEOC), the Court of Federal Claims, the Office of Federal Operations (OFO), the Merit System Protection Board (MSPB) and the Office of Personnel Management (OPM). Prior to law school, John enjoyed a successful career in the high-tech industry. John had the opportunity to work for DirecTv, Warner Brother’s Studios, and Activision. At Lucy Lu & Associate, John continues to practice in employment law. Further, he continues to advance his practice in technology law, immigration, intellectual property, and corporate fields.